This space cannot be reserved individually. It requires reservation of The Great Hall or Lecture Hall. 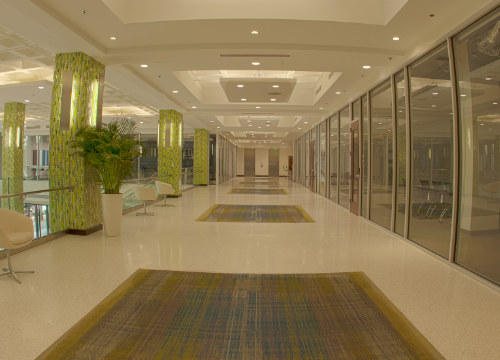 The Second Floor Concourse is an open and dynamic addition to your reservation.From this space you can view down into the Great Hall or out into vibrant Downtown Jacksonville. This space can only be reserved in conjunction with a Lecture Hall or Great Hall rental. When added to a Great Hall rental this space can increase your event capacity to 350 and can also be used as a VIP or auction area. For Lecture Hall events this space works best for pre-event cocktails and horderves or as a vendor fair for your conference.